That could be Shakespeare in there. Shakespeare could soon be taking the place of spam text messages on your mobile phone. A small British company has launched a service for lovers of the Bard that will send them a pithy quote from Shakespeare's works every day in return for a small fee. The Shake-Me text service could make a welcome change from the slick, marketing messages many people are regularly receiving on their handset. Subscribers can sign up for a day, a week or a month. The Shakespeare-by-text service was originally supposed to be launched in mid-2002 but has been delayed while the company developed allied services, said Dahlan Lassale, founder of the Text-Me company. Subscribers can choose to receive amazing facts, riddles, superstitions or even have affectionate poems sent to a person of their choosing. Anyone signing up to the Shake-Me service gets a short quote from a sonnet, poem or play of Shakespeare sent via text message to their mobile phone every working day. The Shake-Me text service costs �1 for one day, �3 for one week and �6 for one month. 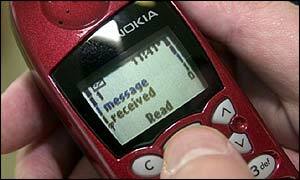 In 2001 Text-Me launched the Poem-Me service which sent text-message-sized verses from published poet Fredrik Lloyd to subscribers. Poet and riddle maker Emmanuel Williams has also been signed up to provide verses and conundrums for Text-Me.